What am I working on now? Well, book 6 and 7 of the Way to Freedom series now have covers and are due to be released soon. I’ll give you a sneak peak at the cover for The Searchers, which is Book 6. While that is underway, I’ve started re-writing my urban fantasy novel Winter’s Magic. This will be re-released at about the same time as The Searchers and will be the first in an urban fantasy series called The Order set in Australia. I will also be working on a partner series based in the same ‘universe’ but set here in Ohio called Ravensdale. 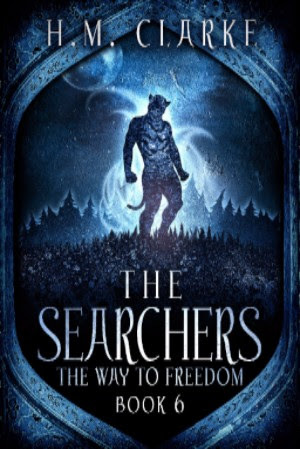 Here is the long awaited cover for The Searchers – Book 6 of The Way to Freedom Series. Current deals and Things to Look Out For! The Way to Freedom Season One Episodes are now Available on Kindle Unlimited – if you are a KU subscriber and have read The Kalarthri, take a look, you won’t regret it.